It goes without saying that swim shorts are essential holiday gear, but just because they’re only cracked out a few times a year doesn’t mean they deserve any less attention. This season, the best examples go after just that. Of course, there will always be a place in the male wardrobe for tailored swimmers, but if ever there’s a time for a playful print, it’s on the beach. If your style is more Rick Ross than Mr Ripley, we’ve got good news for your feet this season. While we can’t imagine minimalist sneakers falling fully out of favour any time soon, running-style sneakers are picking up pace, offering a low-commitment way to tap into the retro trend. 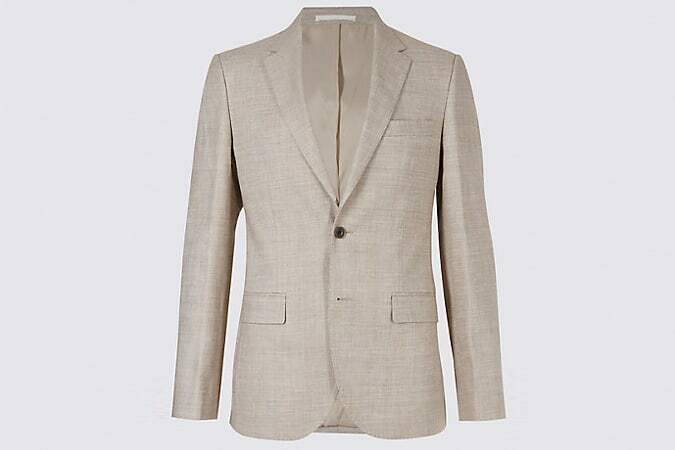 Blazers aren’t solely reserved for special occasions. Mixing them up with chinos and T-shirts will renew even the most tired of wardrobes. Take your cues from the Italians and opt for an unstructured design in a lightweight, breathable fabric, which will ensure your armpits stay as fresh as your suit. Originally designed as a tribute to Napoleon (with 21 stripes to mark each of his victories), today the Breton stripe top is a triumph all of its own in the style world. Perfect for channelling the alluring swag of the French Riviera, whether worn with long sleeves or short, as a T-shirt or as a sweatshirt, it’s a piece that never fails to look good with dark denim. Nothing else offers an instant upgrade quite like a pair of sunglasses. Better yet, high UV protection (and high style) doesn’t have to come with a high price tag. Providing they carry the CE mark (a European standard of UV protection), the examples found on the high street will do the same job as luxury names, and all for less than a round of drinks. For Wimbledon-worthy gear without going full-on Federer, opt for a cotton pique polo shirt this summer. 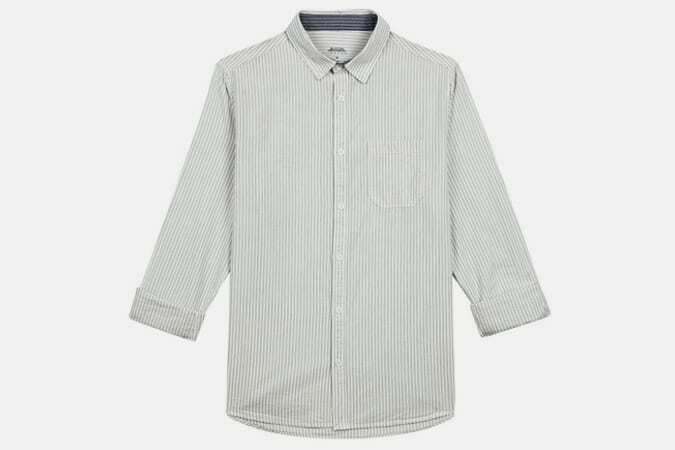 The button-down style sits happily on menswear’s centre court, capable of serving smarter looks just as well as off-duty wins. Game, set and match. Monogrammed leather holdalls are great and everything, but they’re also expensive. Opt for a sporty duffle bag instead and save yourself some cash for the beach club. Simple block colours can flit from nine-to-five to weekend away, all without looking like a Kardashian abroad. A solid pair of chinos makes for a lighter option than jeans in summer, but one that will be no less of a workhorse when it comes to getting dressed. Opt for a pair in a neutral colourway for a classic way to ground almost any smart-casual outfit. Forget everything you thought you knew, because if recent seasons have proved anything, it’s that linen isn’t solely worn by OAPs on a cruise. By utilising the breathable fabric within a classic piece – such as an Oxford shirt – you’ll score a summer-friendly option far from the Costa del Geriatric. Smart-casual can be a headache to decode, and that’s before you’ve factored in the soaring mercury. A pair of tasselled loafers, paired with lightweight chinos, is the ultimate in-between, letting ankles breathe but still sitting pretty on the smarter end of the spectrum. Blue collar threads, from trucker jackets to work boots, have long been a wardrobe influence. But while they seem better suited to winter looks, iterations in lighter fabrics like chambray add a versatile, rugged appeal that’ll work year-round. With necks unencumbered by multiple thick layers and arms free from the shackles of long sleeves, summer is a perfect time for stocking up on a few choice pieces of jewellery. That’s not to say it’s time to put pedal to the metal, as it were. Instead, stick with restrained pieces in silver or gold in the case of necklaces, and leather or rope when it comes to bracelets for a subtle accent. Espadrilles, while the perfect shoe for relaxed strolls in the sun, lack practicality without a few modern updates. Fortunately, with their rise in popularity predicted, that’s exactly what has happened this season. Look for lightweight offerings fitted with elastic gores for comfortable slip-on-and-go style and traditional jute rope soles finished with a non-slip rubber base. Of all the summer style mistakes you could make, inflicting a sub-par belt on your hard-won waistline is up there with the worst. A woven option is not only better suited to warmer weather, but also serves as a subtle way to introduce texture to any summer look. Printed T-shirts are a summer tradition older than warm cans of beer and a poorly-advised hot dog. Yet many guys still get it wrong. This season, ditch the floral get-up for a statement of a different kind. A logo tee is a failsafe way to level-up your basics and tap into the ubiqutous streetwear trend. Summer doesn’t guarantee sunshine – just ask any Brit. But while it’s nice to be prepared for the inevitable cold snap, no man wants to carry around a five-pound clunker of a coat. 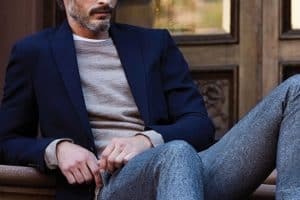 A chore jacket is the answer: thick enough to prevent a shiver, but classic and muted enough to complement any seasonal staple. Summer and winter wardrobes aren’t mutually exclusive. Fortunately, for cooler evenings, it’s possible to repurpose your December-friendly threads. Owing to its natural temperature-regulating properties, a Merino wool knit is ideal for pairing with the chinos or shorts in your warm weather arsenal. Just as a wardrobe should be switched up with the seasons, so too should a grooming cabinet: lighter moisturisers, UV protection and anti-frizz hair products. When it comes to your daily scent, the sweet (smelling) spot is something that swaps woods and spices for citrus and florals. Temperatures north of 28 degrees celsius render trousers impractical, but looking smart with your legs bared is not easy. Opt for chino shorts. Cool, versatile and lightweight, the Oxbridge cut-offs retain a tailored sizzle without the scorch. While flip-flops and pool sliders should be reserved solely for your holiday; a pair of sleek leather sandals is a solid choice for the city or the beach. Seek out pared-back options in dark leather (preferably black, navy or brown), which will help effortlessly add some luxury to any summer ensemble, no matter the price tag. Bring a touch of Cuba to Cardiff, Cambridge or even Cockermouth with the shirt of the season. An ode to 1950s Americana, the open-necked Cuban collar is an effortlessly cool option for balmy summer nights. Channel Leonardo DiCaprio in Romeo + Juliet with a floral version or follow the lead of Ryan Gosling in La La Land with a subtle design in a neutral colourway. The only thing that should be rising when going sockless is your style stock, not a stench from a pair of sweat-sodden shoes. Of course, going ‘sockless’ doesn’t really mean that – it means investing in a pair of invisible socks to give the illusion. As an added tip, always look out for a rubber grip on the heel to stop them slipping off. An almost weightless way to top off weekend looks; in recent seasons the baseball cap has successfully made the transition from the bleachers to the barnets of stylish men everywhere. 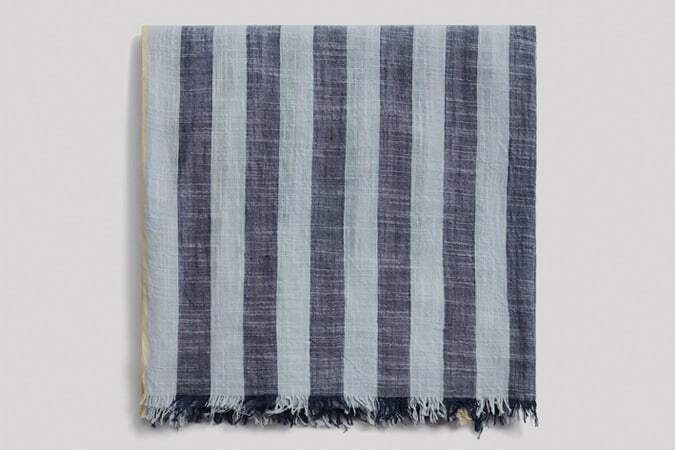 Seek out soft, malleable materials like washed cotton for a fuss-free, contemporary accessory that will wear and lighten in the sun over time. A far less sweaty alternative to lugging a backpack around on your back, a sleek tote is ideal for weekend breaks or days in the city. A durable body offers rugged workwear vibes while additional zipped compartments and optional shoulder straps ensure it provides all the practicality of a messenger bag. A stylish way to transition from the office to the after hours, a lightweight bomber jacket sets a high watermark when it comes to off-duty staples. A khaki green colourway retains the original Air Force appeal of the military piece, while a wind-resistant shell and ribbed trims make it an investment that can still be worn layered up well into the winter months. NATO Stocking Number straps – more commonly shortened to NATO straps – are the perfect summer choice for your watch: lighter than steel, more breathable than rubber and quick-drying in the sun. Which means you can still clock a stylish timepiece without the irritation of a sweaty wrist. Before you reach for the hat and mittens, remember that a summer scarf is a different beast to its winter counterpart. Visibility, not insulation, is the point here, adding a spot of wearable colour to even the simplest of outfits. Last seen on your grandfather circa 1957, pleated trousers are finally back. And in a big way. Despite designer’s best efforts, you’ll still need to work to keep the look modern. Opt for a pair with a single pleat and tapered ankle, and style with a Cuban collar shirt or mid-weight knitwear. There’s never a bad time to think about adding an impeccably-cut suit to your rotation. However, double-digit temperatures and summer wedding season make the purchase all the more pertinent. The key to staying sharp and cool is choosing the right fabric. Look for words like cotton, linen, seersucker or a combination of these. It also pays to side with lighter colours such as stone or even on-trend pastels, as these won’t absorb the heat as much. When it comes to denim for summer, we have one thing to say: lighten up. And that doesn’t just refer to the wash. Consider the weight and thickness of this workwear staple, too, as anything too heavy will result in a look that’s producing more sweat than style. More high street retailers keep their cuts below 12oz, which is perfect. But if all else fails, rip yourself some on-trend ventilation holes. Make no mistake about it, vertical stripes are currently outstripping all other prints and patterns in the menswear game. Slick on suits, a ten on trousers, they still do their best work up top on a shirt that will get up-down looks for all the right reasons. Once the pariah of the poolside, now a bona fide trend both at home and abroad — there’s no getting away from sliders. Of course, fashion is a fickle mistress, so rather than shelling out for a designer name, look for a simple pair that comes in at less than the cost of a pina colada.